Lacey is a passionate and successful sales professional with a solid track record of achievement across multiple industries. 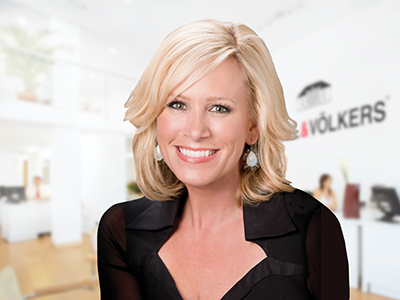 Her diverse experience makes her a fresh, dynamic asset to the Engel & Völkers team. Lacey has been a licensed agent for 13 years and has been at Turnquist Partners/Engel & Völkers since 2009. Before moving to Real Estate, she spent 6 years in technology, working for industry giants Dell and Yahoo. As a result, she is on the forefront of trends in the market and has information technology skills that make her attractive to the savviest of clients. Lacey has a Bachelor of Journalism from the University of Texas at Austin where she was extremely active in her sorority Tri Delta, now an active Alumnae, and several philanthropies. As a University of Texas graduate and a resident of Bouldin, Allandale, Highland Park West, and Davenport Ranch and as the wife of a Westlake native, Lacey is the quintessential Austinite. She has two sons and has been instrumental in the fundraising for their schools. She has recently served as the Hill Country Middle School seventh grade Football Team Mom. As a past member of the Junior League of Austin, Dell Children’s Circle of Friends and Austin Children’s Shelter, Lacey has a passion for giving back to the community. She is currently a member and an active volunteer for the Seton Forum, Women’s Symphony League, Dell Children’s Miracle Book, Texas Exes, and The Davenport Ranch Architectural Review Board. If you’re looking for a professional that knows the area and will just generally brighten your day, Lacey Bowen is the agent for you.